mwe3: How is the late 2014 CD release of In Stories a move forward from your 2013 Dark Sonatas CD? You guys always record well in advance of the CD release. I seem to recall you both saying that Dark Sonatas was influenced by the music of Elliott Carter so this time out with In Stories were there some other influences or signposts that crept into the sonic landscapes? Kevin Kastning: Yes, at the outset of the recording sessions for In Stories we set out to do something very different from Dark Sonatas. Some of the previous albums had pieces that contained a very slight lyrical element. By lyrical, I mean more of a clear linear melodic content. None of those were predetermined; they just turned out to have a slightly more lyrical direction than our other work, which, as you know, is usually more dense and angular. But the melodic and lyrical element was still embedded within a somewhat dense setting and backdrop; it was more like occasional glimpses of something vaguely or mysteriously melodic. As if the lyrical element was obfuscated under or behind other layers that were more at the foreground. At the beginning of the recording sessions for the album that would become In Stories, we decided to deliberately focus on that lyrical element, which isn't something we'd previously done. We wanted to bring it into focus as more of a foreground element for this project. And perhaps in some ways, used as an architectural component of the compositional structure. Mark Wingfield: As Kevin says for this album we decided to explore the lyrical side of our work. We dipped in and out of that at times on our first two albums, but with Dark Sonatas we went almost in the opposite direction. So for this album it felt right to go into the more lyrical side of what we do. mwe3: You always choose interesting titles and cover art photos for your albums and this time thats equally applicable. Is In Stories a kind of double entendre of sorts? In meaning hip or inside and Stories as in continuing the story of your ongoing musical collaborations? Also can you tell us about the In Stories cover art? I guess you guys were also greatly influenced by the surrealistic painter masters of the past and from a slightly more realistic standpoint, you could easily apply that to photography too. Whats the process for choosing artwork to match your music? Kevin Kastning: Yes, I think we are both influenced by various painters. This is something we've discussed more than once, and in fact plays a major role in our next album to be released in 2015. The album title came last for this project. I had completed the track titles, and we had a working title for the album in mind, but as time went on, we decided it didn't really fit. We were bouncing album titles off each other and going into deep discussions about a few of them, but again nothing really fit. Mark made a comment in passing one day that some of the track titles would work as album titles. I suggested altering the track title "In Stories Without" to become "In Stories" as an album title, and Mark really liked that, so we had our title. We felt that the lyrical element tied in to a way of telling a story; like a linear narrative. Selecting cover art is always a long and arduous process. Once we have the final set of compositions for the album and we've gotten a sense of the overall feel and direction of the album as a whole, then we start discussing imagery that captures, or crystallizes, or enhances the feel or compositional content and theme of the record. Mark and I will discuss what we're sensing as visual imagery for the project. There is a handful of artists, both photographers and painters, in various countries with whom I work, so usually Mark and I begin by looking at their recent work to see if anything fits. We'll usually compile a short list of five or six works of art, and as post-production on the album continues, we maintain an ongoing discussion of cover art and which fits better than others and why. The cover of Dark Sonatas was especially difficult, as it contains four art works instead of one; that record was so dense that we felt that its compositional elements couldnt be represented in a single image. For In Stories, Mark suggested the ocean pilings photo, and the more I saw it, the more I could begin to hear the pieces on the album almost just by looking at the photo. The photo created such a striking and singular effect all by itself. We both agreed that it was the ideal visual representation for In Stories. The In Stories cover is by British photographic artist Chris Friel. Chris did the cover for Dark Sonatas, and also my recent album Watercolor Sky with Carl Clements; his work has a very moving and emotional depth for me, and much of his work seems to lend itself as strong visual representations of some of the work Ive had the honor of co-creating with Mark and Carl. Chris, if you're reading this, thank you again. Mark Wingfield: For me the title sums up something of what the album is about. I think of lyrical approaches to music as more akin to musical story telling than some other forms would be. So I think of each track on the album as being another story, in music, which we explored when playing. As Kevin says, choosing cover art for our work takes some thought and time. We both feel the cover art is very important, as are the composition titles and it takes time to find the right cover. And yes huge thanks to Chris for his wonderful images. mwe3: How about the composition titles you chose on the In Stories album? Can you give a few examples as to how you came up with the composition titles to match the spirit of the music? Could you give a brief track by track description about each composition title and how you named the compositions? Kevin Kastning: The usual process is that I do most or all of the composition titles, then run them by Mark to see if he thinks the titles fit the piece, and perhaps convey something about the meaning or essence of the composition. Or perhaps even enhance the composition. Sometimes hell make suggestions, which is always helpful. For the titling process, I have to sit with the pieces for a while; eventually certain words or word combinations will begin to form and manifest themselves. Its helpful for me when writing the composition titles if weve decided upon an album title and the cover art. My intent is to create a set of titles that are interrelated. And for those titles to reflect or adhere to the overall theme or direction of the album. I seem to naturally gravitate toward unusual titling conventions. Most of the titles are rather abstract and nonrepresentational. I never want to give away what a piece is about or based upon, so the titles may allude to the true meaning, but in a very distant, veiled, and obfuscated way. For In Stories, I wanted the titles to have an almost literary impact; almost as if each title was itself a story. And you can read the titles in sequence and they almost evoke a story on their own, without even listening to the record. There is one piece whose title is based on a literal experience Ive had. I live out in the country; the New England village near where I live has three of the classic New England churches which date from the 18th century. One of the churches has a working bell in its bell tower. There are times when I can hear it striking the hours for the time, and the sound comes floating out of the forest like a lace echo. Its a very evocative sound and if Im outside and I hear it, it just stops me in my tracks. Its the distant chime referred to in A Distant Chime and Longing. Mark Wingfield: Kevin comes up with all the titles, he has a real gift for that and I really like his approach, it really fits the music. I always struggle when it comes time to title the pieces on my other albums, it takes me ages sometimes and I end up getting help from my wife or a poet friend. So its great for me that Kevin is so good at titles. mwe3: Theres some staggering sonic effects on In Stories that seem to leave the listener hanging in mid space. Im amazed at the way you guys implement echo and sustain and all kind of sonic wonderment throughout your albums, especially this new one. What was your approach to recording this time and how much of the sound was treated and textured after the recording? Can you describe your approach to the preproduction, production and post-production as it applies to the In Stories CD? 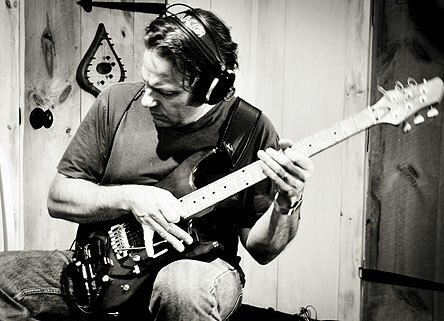 Kevin Kastning: The approach to the recording process was our usual method and setting; we set aside two days for recording sessions in November 2013, and those sessions resulted in the album that would become In Stories. I think most of to what you're referring is Mark's sound, so I'll defer to him on this one. I can tell you that no effects or treatments, other than reverb, are applied in the mix phase; everything you hear on the album was recorded live in the studio. Mark Wingfield: There was no post production on this, or any of our albums to date. What you hear is exactly as it sounded live in the studio. The mixing process for our albums is purely about retaining the best sound fidelity and allowing the instruments to sit well together in the stereo sound space. I sometimes add extremely subtle EQ and saturation to my guitar for a particular piece, but on the next piece I won't add anything. From a listening point of view, you wouldn't notice any difference in my guitar sound, because what I'm doing is so subtle. I think of it as working with the very fine texture of the sound. Perhaps adding a tiny amount of nonlinear saturation which makes the texture of the notes just a touch harder or perhaps a touch more velvety. But as I say its so subtle I doubt you could pick out the pieces where I added this to my sound. Since my sound has distortion and tonal shaping before it even hits the recorder, I have no compunction in slightly adjusting the sound in the mix if it helps. Sometimes adding just a tiny bit of saturation or EQ to my guitar helps it sit better with Kevin's in the mix, sometimes it doesn't, it depends on the piece. Kevin's guitars are kept 100% clean from any saturation or compression. While we were playing there was quite a bit of electronics going on from my guitar. The sustain effects on the electric guitar were all produced live as we played. I have a sustainer on my guitar which keeps the vibration of the string going indefinitely. Its not done by any sort of processing or effects, the strings actually continue to vibrate for as long as I hold the notes. Its very much like using a loud amplifier and feedback except it works at any volume, even without the guitar being plugged in. The sustainer I use is by Sustainiac and it has become an essential part of my sound in recent years. What I love about infinite sustain is that it opens up all sort of things you can do to the note while it sustains. I also like to create chords which sustain as an ambient back drop. For this I use the laptop which allows me to feed the guitar signal in to any number of plugins. I am also using the laptop to mold the tone and frequency content of the guitar in real time using controller pedals and a touch strip controller on the guitar. A single pedal or touch strip might be controlling five or more plugin parameters at once. I use chains of plugins, sometimes 10 or more at once, to draw breath like sounds out of the guitar or rasping or brassy sorts of sounds. I also do a lot of pitch shifting and manipulation with the tremolo arm, or as I prefer to call it, the pitch arm. Having the sustain allows me to do a lot more with this. Combining this pitch manipulation with tonal changes from the laptop, gives me a big sound pallet to work with. Its all still just the audio signal from my guitar though, I didn't use any synth on In Stories. Actually despite the fact that I'm often written about as using a lot of synth guitar, the truth is, I hardly ever use synth and when I do, its usually just added in behind the guitar sound for playing chords. Almost all the lead sounds I use are the audio signal from my guitar just manipulated with my hands, and here and there with electronics. mwe3: There seems to be an even more impressive balance of the recorded guitars sound this time around. Do you feel youre evolving your sense of sonic direction as collaborators and is In Stories a new height for you as a recording team? 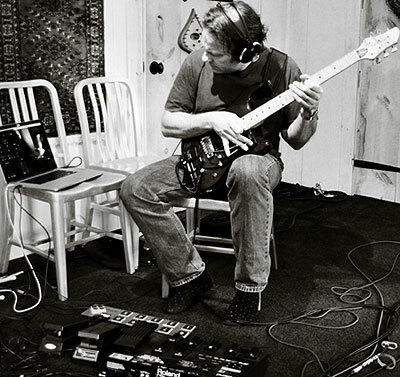 Was In Stories the first album you recorded together that featured Kevins 36-string Double Contraguitar and did Mark bring in any new guitars or sonic devices this time? What about new ideas or challenges in the approach to blending the various guitar sounds this time and what were some of the challenges and concerns about the blending of the 36-string guitar with the electric guitars? Kevin Kastning: With Mark, I always feel that each new album surpasses the previous one. So yes, I would say that our direction as collaborators continues to expand and further refine itself. 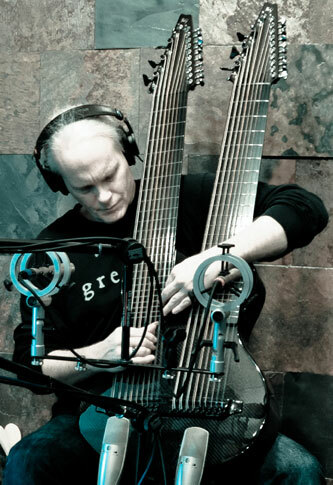 This was the first album of Mark and I to include the 36-string Double Contraguitar, yes. I dont think the challenge was how to blend our two voices, but more of how the 36-string figures into a composition; even then it wasnt what Id term a challenge; more of a reconsideration of specific harmonic colors and textures. I think it fits in quite well with Marks playing and sound palette. 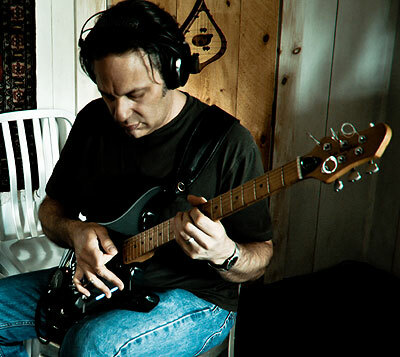 Even though the 36 brings an entirely new kind of orchestral heft and weight and scope, Mark adapted to it right away and I think wrought some unique approaches that wouldnt have been possible with me on any other instrument. Mark Wingfield: I would echo Kevin's sentiment, I think every album we do goes further than the previous one. Having said that, some amazing things happened on the previous albums which will never be repeated. Playing with the 36 string was an experience I can not really compare to anything else except playing with the 30 string. The 36 presents an even more orchestral approach to the guitar. The sound of these instruments is like nothing that has ever existed before, the depth and breadth of the sound is unparalleled in the guitar world. 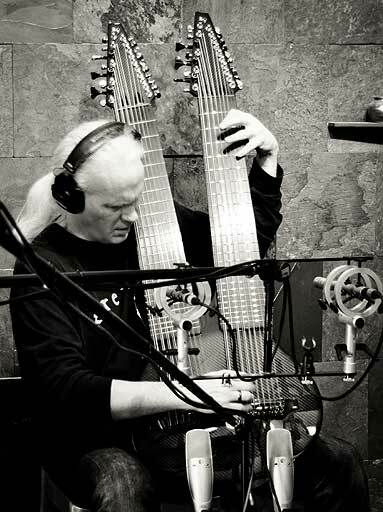 Even more important for me, is that the 36 strings allow Kevin to explore areas of his musical imagination not possible on any other instrument. I see these instruments as a natural expression or extension of his musical art and composer's mind. They allow him to play more of what he hears, and this means the music can go to new and uncharted places. I found playing with Kevin on the 36 an exceptional experience. Sonically and texturally it is a unique new sound world and this affected what I played in interesting ways, very inspiring. 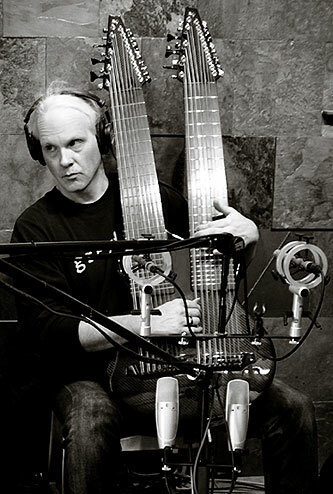 What is also amazing is that Kevin has such a unique voice even on the 6 string classical guitar, which he plays a lot on In Stories. I really love his nylon string playing, just as much as his playing on the 36 and other extended instruments. These different instruments show very different sides of his artistic vision, which are equally vital and interesting from my point of view. mwe3: Sonically, in my estimation, In Stories is clearly your best sounding album yet. I remember we spoke last time about how sometimes the electric guitars levels would sometimes fly into the red but on In Stories, the sound balance is near perfect with hardly zero overdrive or distortion. Not meaning to diss Jimi Hendrix fans out there, do you feel youre achieving an even more balanced approach to capturing your recorded sound on CD? As much as CD is being overlooked by certain labels these days, strangely enough in favor of mp3 and vinyl, it seems like you guys are en route to perfecting the CD sound. Kevin Kastning: Thanks, Robert. The recording process was a bit more refined on this record. I changed to a four-microphone setup, which really brings a better stereo image of the 36-string. Mark did the excellent mixing job at his studio in England. We're always striving to improve the recording quality and overall mix on each record, so thank you for noticing on this one. Mark Wingfield: I can guarantee that nothing went into the red on any of our previous albums, there was no clipping of any kind on the recordings or the mixes. There are devices in place which guarantee that can't happen. What may be experienced by some listeners with older CD players is that these machines cannot handle inter-sample peaks. So its actually the CD player which is distorting, not the recording. This is something you are only likely to notice when you get incredibly clean and distortion free recordings. Most recordings actually have quite a bit of distortion mixed in at every level, from the mic preamps to the outboard gear to the mixing desk itself. It all becomes part of the sound, so a little extra distortion from your CD player isn't noticeable. However when you have a recording like ours, which is incredibly clean and clear with virtually no distortion, any small amount of distortion added by an older CD player may become audible. Modern CD players do not suffer from this problem. Hi-res downloads are raising the listening quality well past that of CDs or any other previous playback media. We are making sure all our music is ready for that. Studio Traumwald where we have recorded all our albums to date uses extremely high quality mics and the very best clean mic preamps, for the acoustic guitars, so there is virtually no distortion. From there it goes straight to digital and never leaves the digital domain again. The electric guitar goes directly from my effects to digital and again never leaves the digital domain again. This eliminates all the distortion you normally get from mixing consoles, multiple pieces of outboard gear, and often pretty crunchy mic preamps. mwe3: Its almost impossible for me to single out any favorites as the In Stories CD as its almost like a complete sonic journey but are there any favorite tracks you could cite or a track that you feel best captures the essence of the In Stories album, especially from the artists perspective? I wanted to ask if theres a track from the album that you are recommending to radio programmers who try to decide to best way to approach the album. And speaking of radio, do you receive more airplay from classical stations, jazz or electronic music radio stations? I remember we spoke about Kastning / Wingfield playing Carnegie Hall or some of the more famous concert halls. Has there been any progress on getting your music heard in a proper concert setting? Kevin Kastning: I don't have a favorite track; I tend to hear the album's structure almost like a symphony: each track is a different movement of a whole; as if the album is itself a single large-scale composition. In that spirit, I don't recommend specific tracks to radio programmers; I always find it interesting that so many stations find their own favorites and feature different tracks on their shows. Regarding airplay, it's odd or surprising that we get airplay on such diversely formatted radio shows: classical, jazz, new age, and even progressive rock. I guess everyone hears it differently; I like that. Mark and I have been discussing concerts. It is looking like we'll have some concert dates in the UK in 2015, and probably some more dates in New York City. Mark Wingfield: I would echo Kevin's thoughts on this. Every track for me has something different which I like. I see each of our pieces as a composition, almost in classical terms. From this point of view it's more akin to a modern classical composition than jazz even though it is all improvised and in that way is like jazz. Sometimes, as with modern classical music, and I include in this everything from the late 1800's onward, the piece needs to go through a very dark place in order to get to a light place or visa versa. Sometimes a certain moment in music can only happen because of what it has come out of a moment before. Without one, the other would not exist, because its very reason for coming into existence is because of what happened before it. Kevin is fearless in this regard, he will go wherever the music points, it doesn't matter how dark or how light, or where it goes, if that is where the music demands, then he goes there. I take the same approach. I think this is part of the reason our music takes so many different twists and turns. The other reason, as we have said many times before, is that we think compositionally as we play. To come back to your question, I think the reason why its hard for me to have a favorite piece is because unique things happen in each piece. I often think of music as places, like a journey through different places. With the sort of music I do with Kevin, each place the music goes is unique and only exists in that one piece. These musical 'places' are all interesting to me, because they came into being and they have a unique feeling or an atmosphere which will never be repeated in another piece. mwe3: You guys seem to thrive on challenging sonic challenges, yet theres something non-computerized about your music which also has a kind of timeless feel to it. Is technology too rampant these days? I guess thats what makes your music so unique is that you are pioneers but you also remember where it all came from. When is it too much of a good thing especially when it comes to high-tech? Kevin Kastning: The non-computerized feel probably stems from the fact that our records are recorded live in the studio; it's a recording of a performance. It's not an artificial or layered approach to creating something recorded that can't be recreated in a live setting. If you came to one of our concerts, you'd hear the same kind of performance. In fact, at a concert we performed last year in New York City, a well-known music critic and writer came to the concert. He and I were talking afterwards and he said that part of the reason he came was to see if we could "do it live;" in other words, if what's on the records is indeed reproduced in a live concert setting. He said "Wow, you guys really did it!" Being an acoustic musician, I dont have a real consciousness of technology when in a recording studio. Im there to serve the music and to make sure that my acoustic instruments are captured on tape as accurately as possible. Regarding your questions about rampant technology, I'm not sure I'm equipped to answer that. Then you are thinking the wrong way around and the result is likely to be empty and disappointing. For me it has to start with the music. I hear something in my mind that I feel strongly I want to make happen in the music. If I don't know a way to make that sound happen, then I will look for ways to make it possible. Technology is one tool which you can use. I see it as a very powerful tool. So I might to look to technology, or I might look to developing a new playing technique. It all depends what will create the sound I hear. I don't use it for this reason, but I also see using the latest technology as part of the history of the electric guitar. Jimi Hendrix, is still one of my favorite guitarists, and is in my opinion, one of the most innovative players in history in terms of sound creation and sound design using the electric guitar. I think it could be argued that he is in fact, the most innovative of all electric guitarists in terms of sound. If you look at what the electric guitar was like before Hendrix and you look at how much of the modern electric sound traces back to him, its staggering. I think his rendition of the Star Spangled Banner at Woodstock is one of the greatest works of art ever performed on the electric guitar. In terms of its emotional depth and his conscious choice to do a work of this nature in that historical context, I think elevates it to an even higher status. For me perhaps the greatest work of sonic art in the 20th century. Hendrix used what was the most cutting edge technology of the time and pushed it past its limits, even going so far as to have technology built especially for his sonic ideas. Today this technology seems primitive, but at the time it was as cutting edge as it gets. Yet his playing sounds as organic and alive as any player I've ever heard. mwe3: The albums sound good but is there a secret to getting along personality wise in order to make the albums sound even better? Is it all smooth sailing or does recording together require certain personality adjustments from time to time? Kevin Kastning: What once began as an artistic collaboration has expanded into a close friendship. 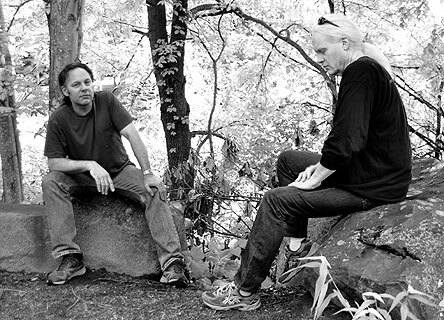 Theres only about three or four people in the entire world with whom I can really discuss music, or feel completely comfortable discussing music; Mark is one of them. When we have days in the recording studio, well usually work until midnight or so. Then its not unusual for us to sit and talk until 3 or 4 AM. Mark lives in the UK, and Im in the US, so we only get to see each other when we have a concert or recording dates, but well Skype from time to time, and we email each other on an ongoing basis. Artistically, we are almost always on the same page; its uncanny. If we have differing opinions, its a very healthy and interesting process as we discuss our own vantage points. Were coming from the same place artistically, and we have the same goals; were going to the same place, but sometimes we take different routes to arrive. Whenever we have one of these discussions, its great because the outcome is always more interesting and artistically stronger than if one of us had gone with our original inclination. Mark Wingfield: I echo everything Kevin says here to a word, I couldn't have said it better. He has become a really close friend and we have a great time on the days when I'm there recording or when playing concerts. Kevin is someone who I can discuss music with on any level and there is a complete understanding. For me those people are few and far between. Plus he makes the best brownies I have ever tasted. mwe3: So will this be a yearly event for you guys or are there other sonic avenues youll be traveling down as 2014 winds down and 2015 kicks up? 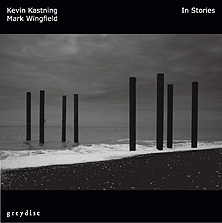 Perhaps Kevin can shed some light on what directions is Greydisc going in as we approach mid-decade and is Mark planning another kind of jazz-fusion outing for 2015 and beyond? Any plans or surprises shaping up for the new year of 2015? Kevin Kastning: Since we recorded our first album together, wed decided to commit to an annual album, so yes, this will be an ongoing collaboration. In fact, we already have our 2015 album completely recorded and in the can. Were planning our 2016 recording project, which will be very different than anything either of us have ever done, and will require far more planning and advance work prior to going into the recording studio. Regarding surprises, our 2015 album is different from anything weve yet done, and is certainly based on an unusual concept. For 2015, there will be several new Greydisc releases. At least one new one of Sandor Szabo and myself. 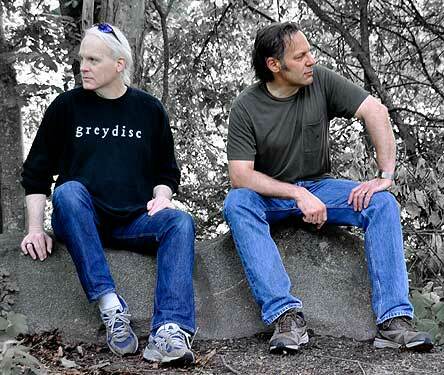 The new one of Mark and I is done, and the 2015 album of Carl Clements and myself is almost done. And I am working on my first solo album, which I hope to have completed this year. I have some collaborations coming up with some other artists as well, but cant say exactly who just yet. Some with whom Ive previously worked, and some new ones, too. Mark Wingfield: As Kevin says we have our 2015 album already recorded and it is a really unusual concept, but I won't give anything away yet. Suffice to say I'm excited about it. The new project for 2016 will be an interesting one, as well as a challenge. As Kevin says, will take some preparation as it will mix pre-composed elements with our improvisation. I was actually starting work on some early ideas for this project today. As for my other projects I am just about to release a trio album called Proof Of Light with Asaf Sirkis on drums and Yaron Stavi on bass. Its quite a varied album moving from high energy tracks with rock elements to laid back ECM style pieces, but there's a strong cohesive compositional thread through the entire album as well as a lot of improvisation. Its an album I'm really excited about. It will be coming out on the NYC Moonjune Label, which is also Allan Holdsworth's label and is run by the amazing Leonardo Pavkovic who is a real visionary label owner. I am also recording a new album with the innovative harpsichordist Jane Chapman. This will be our second album and I think its going to be a really interesting one full of musical surprises. We will also be inviting in a special guest or two.